...to my website. This is a work in progress and I hope you will stop by often to see what's new. 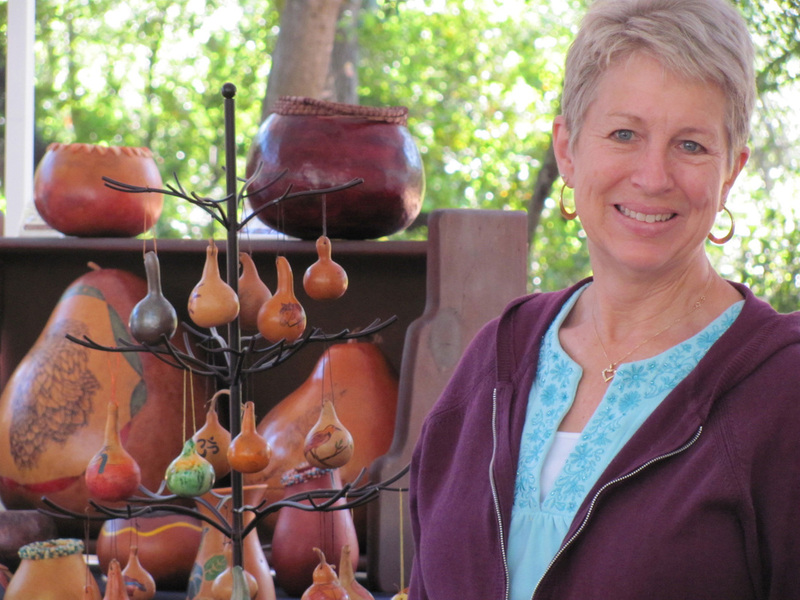 If you are interested in purchasing any of my gourd art, or want to know more about gourds, please go to Corona Gourd Company. Self-expression through the arts has been a thread weaving through my life since childhood. From music and dance to sewing and quilting to drawing and gourding, I have been fortunate to enjoy many opportunities to create tangible expressions of what is going on in my heart, my head and in my life. I learned about needle and thread from my grandmother and took a few college art courses in drawing and design. I am married to my high school sweetheart and we have two amazing adult daughters and four precious grandchildren. I live on a rural mini-ranch where we grow our own vegetables and fruit, keep hens for eggs, and bees for honey. Recently retired from a 28 year career in the real estate industry, I now pursue my love of art every day. I take a variety of classes and workshops in painting, life drawing and art quilting. I worked with a local gourd farm to create several instructional gourd art videos and love to teach and demo gourd art techniques. I am grateful to my family and friends who lovingly give me encouragement to pursue my artistic visions. At the center of all is a living God graciously allowing me freedom to explore these gifts with my own unique personality, humor and quest for truth.